Dirk Gently’s Holistic Detective Agency: Everything Is Connected – Available Now! Mysteries don’t solve themselves, or do they? Sometimes a good detective can make a mystery unravel itself in the most peculiar of ways; coincidence or clue? Perhaps both? In Dirk Gently’s Holistic Detective Agency: Everything is Connected, holistic detectives compete with the police to solve the most vexing of mysteries using an ever-changing set of clues, suspects, and person of interest cards. Dirk Gently’s Holistic Agency: Everything Is Connected is a social story telling game where two players appeal to a panel of their peers in an effort to make the strongest case for whodunit and how? 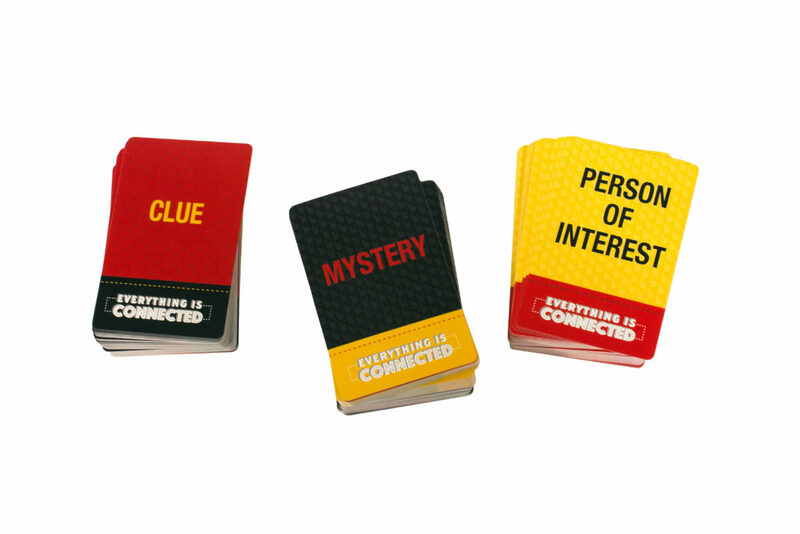 This story-telling party game, designed by Matt Fantastic and art by Allen Helbig, includes 156 Clue Cards, 85 Person of Interest Cards and 59 Mystery Cards. Are you ready to solve the mystery or see if it will solve itself? 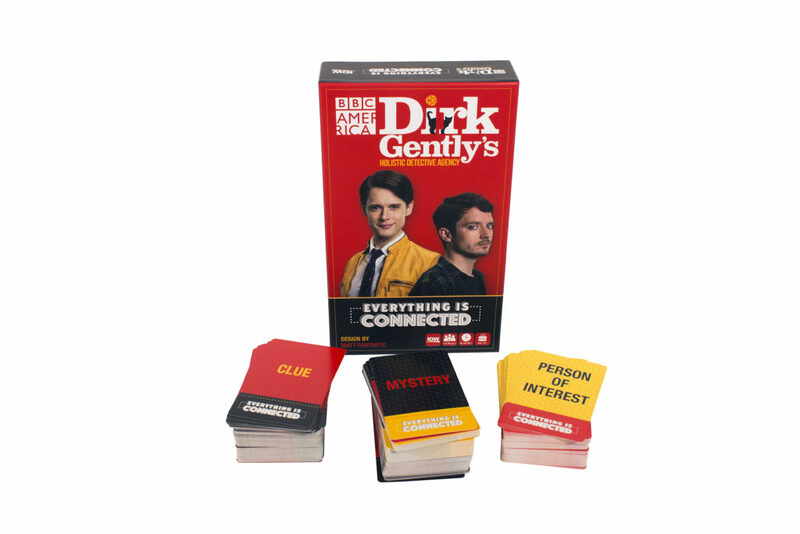 Dirk Gently’s Holistic Detective Agency: Everything Is Connected, the party game for 3-8 players is available in stores now and just in time for you to tell your favorite mysteries or discover new ones! Find out just how everything is connected!